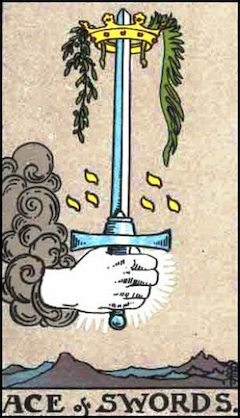 The Aces represent the roots of the four elements. 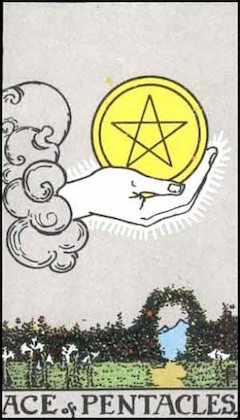 They are quite above, and distinct from, the other small cards in the same way as Kether is said to be symbolized only by the topmost point of the Yod of Tetragrammaton. 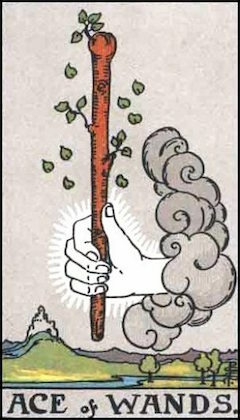 In these cards is no real manifestation of the element in its material form. They form a link between the small cards and the Princesses, who rule the Heavens around the North Pole. 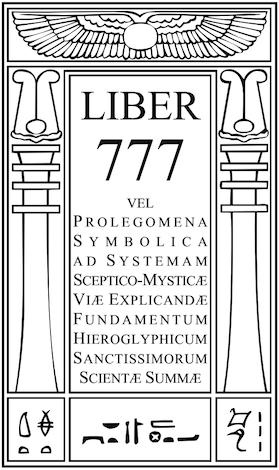 The Meridian is the Great Pyramid, and the Elements rule, going Eastward, in the order of Tetragrammaton, Fire, Water, Air, Earth. Thus, roughly, Aces-Princesses Wands cover Asia, Cups the Pacific Ocean, Swords the Americas, Disks Europe and Africa. To make this relationship clear, one may go a little into the symbol of the pentagram, or Shield of David. 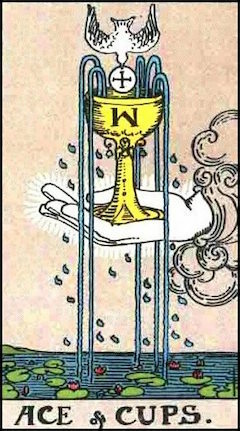 It represents Spirit ruling the four elements, and is thus a symbol of the Triumph of Man. The idea of the element of Spirit is very difficult to grasp. The letter Shin, which is the letter of Fire, has to do double duty by representing Spirit as well. Generally speaking, the attributions of Spirit are not clear and simple like those of the other elements. It is very remarkable that the Tablet of Spirit in the Enochian system is the key to all mischief; as, in the Hindu system, Akasha is the Egg of Darkness. On the other hand, Spirit represents Kether. Perhaps it was never in the mind of the Exempt Adept or Adepts who invented the Tarot to go so far into this matter. The point to remember is that, both in their appearance and in their meaning, the Aces are not the elements themselves, but the seeds of those elements.